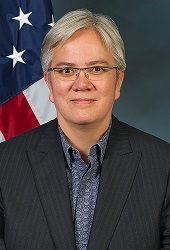 Jennifer Ho, BA serves as HUD Secretary Castro’s Senior Advisor for Housing and Services. She manages the Department’s relationship with HHS and the intersection of housing and health—ending homelessness, de-instutionalization and the future of senior housing. From February 2010 to February 2013, Jennifer was at the United States Interagency Council on Homelessness where she shepherded the development of Opening Doors, the nation’s first‐ever comprehensive federal plan to prevent and end homelessness. Before coming to DC, Jennifer spent eleven years managing a nonprofit focused on health care financing and outcomes associated with supportive housing. Prior to that, she had ten years in Medicare and Medicaid managed care. A Minnesota native, Jennifer received a bachelor’s degree in philosophy from Bryn Mawr College.